Di Napoli Pizza has been serving delicious, authentic, Italian food. 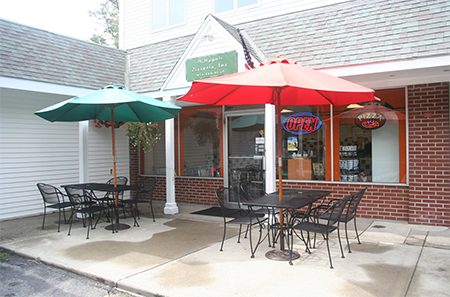 In addition to our famous Italian style hand-tossed pizza, we serve a variety of subs, salads and dinners. Some of our unique dishes that you are sure to enjoy include Quatro Staggione (a pizza with 4 segments), Dinali Eggplant Dinner with Spinach, and our Chicken Feta Spinach sub. All of our food at Di Napoli Pizzeria is available to eat here in our dining room, for takeout, or for delivery to your doorstep. We also provide catering services, so please contact us to discuss your next event.